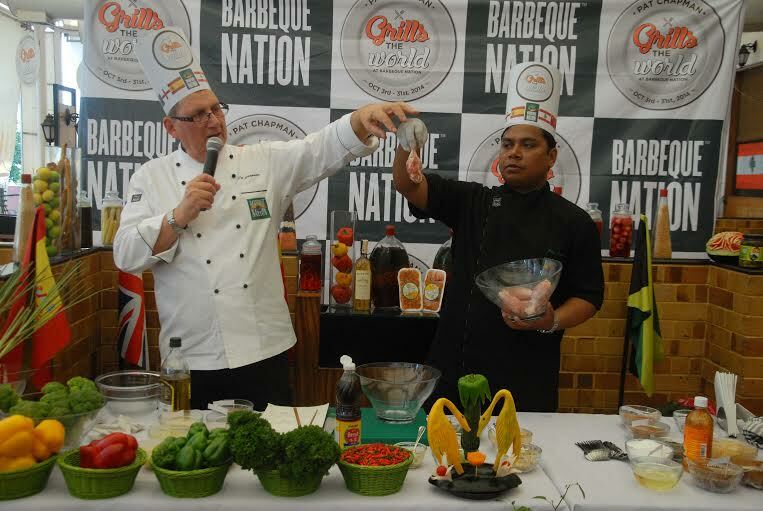 Barbeque Nation, one of the most successful casual dining restaurant chains in India, will partner with UK’s Curry King Pat Chapman for a whole new Barbeque experience during Festive October across the country. Pat Chapman’s effervescent 14 new marinades will get introduced across the country and mark the entry of a completely new genre of barbequed food. Patrick Lawrence Chapman, who amongst other numerous titles, has been called ‘The Ambassador of Indian Food’ and the ‘Curry Leader’ by renowned food reviewers in Britain, has also been credited by Daily Mail for ‘Baltifying Britain’ for his bestseller cookbook – the first among 36 recipe books penned down by him with cumulative sales topping 1.5 million copies. Pat was a regular guest chef on the QE2, the leading luxury liner, for many seasons, and the Hilton and the Taj. Such is his understanding of the nuances of spices that he has been called upon by the Government of India in Kerala, to lecture on spices! 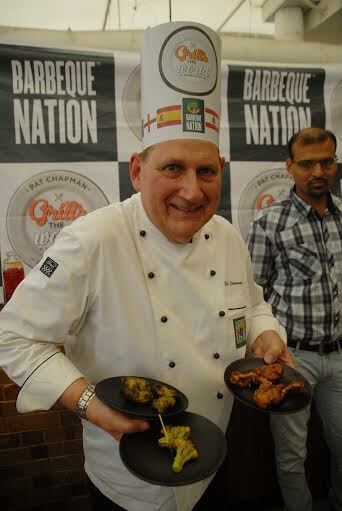 During the festive month of October, Pat Chapman’s marinades promises to give a taste of grills to Indian customers as they are savored around the country.Visit any of Barbeque Nation’s 3 outlets in Pune (Deccan, Kalyani Nagar and Hadapsar) between October 3 and 31 for an amazing culinary trip around the world. Barbeque Nation is a pioneer in India to promote ‘DIY’ (do-it-yourself) cuisine with a concept of live on-the-table grill in India and is today the largest casual dining brand in the country. The restaurant offers a pre-fixed menu with a fixed price. The menu is drawn from Mediterranean, American, Oriental,Asian and Indian subcontinent. New Orleans Incendiary Marinade, Aztec ~ Mole Poblano Marinade and the Jamaican Jerk Marinade. From Australasia comes the Outback Emu while Pat’s delectable Far East marinades include the Mighty Hot Mai Thai, Chinese Sichuan and Indonesian Bumbukacangrecipes. 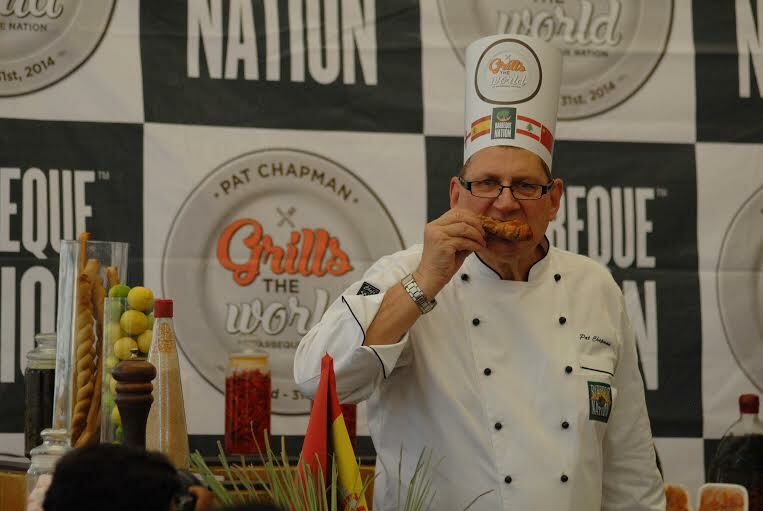 Pat Chapman will be hosting a special cook out show on days that he is behind the counter and promises to whip up a storm with his inimitable style and preparations. 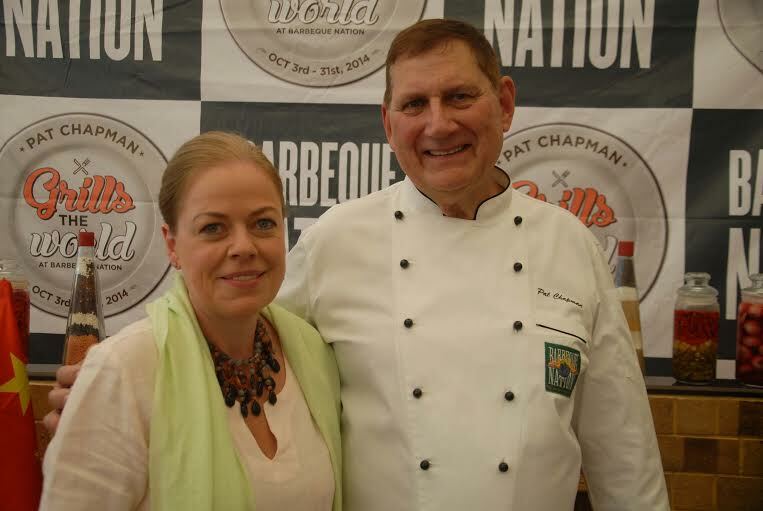 ‘Pat Chapman Grills The World’ brings to Indian barbeque lovers a lifetime of work from the iconic Pat Chapman. “Chef Pat Chapman is a legend in the UK and the great ambassador for Indian food. 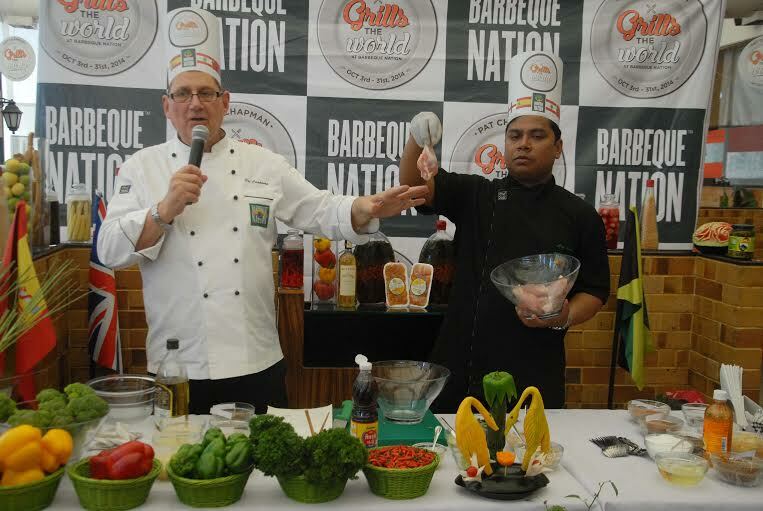 Barbeque Nation is delighted to partner him to turn the culinary experience the other way around: get him to share with Indians the famous marinades of the world with his own interpretation and many his own creation. As the festive season lights up, many will look for an experience that sets this Dusshera-Diwali apart and we are delighted to present our guests an unforgettable culinary experience,” said Mr. Uday Menon, CBO, Barbeque Nation. Barbeque Nation is one of the most successful casual dining restaurant chains in India. With more than 38 outlets across the nation, it offers a happy blend of American, Mediterranean, Oriental and Indian cuisines in both vegetarian and non-vegetarian choices. With its unique independent dining experience offering, it has won the trust of more than 4 lac FB fans till date. This entry was posted in Uncategorized and tagged BARBEQUE NATION, Chef Pat Chapman, Curry Leader, food, food photography, Pat Chapman, pune bloggers, pune restaurants. Bookmark the permalink.